Even as early as the night before Typhoon Sendong hit Dumaguete on December 17, Silliman University had already drawn up a rescue and recovery plan. This was because Dumaguete had earlier experienced a serious flooding in February 2009. So when rains were already starting to cover roads with water and rivers washing away homes, volunteers including teachers and utility personnel were already out in the field for rescue. The flooding that transpired, however, was worse than calculated — far worse than in February 2009. Yet, while it was beyond what most had imagined, the manner by which it united efforts was nevertheless proof positive of how much more and farther people can give of themselves. 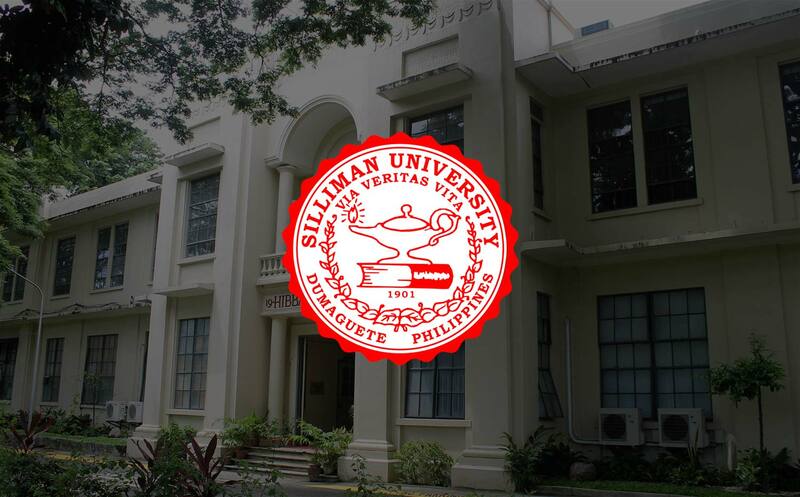 Silliman University issued an appeal on the University website on December 19. A few minutes after it was posted online, it started circulating on Facebook and in online forum sites. An hour after, e-mails and calls started to “flood” in. In whatever form, (written, said and sent) the message was clear: “We want to help; We need to help”. What took place right after Sendong hit Dumaguete and neighboring municipalities was more than the sorry state of families displaced from their familiar abodes. We saw cohesion, collaboration and a collective understanding of the urgency to be of service. The response from all over the world, especially from our alumni in the United States, United Kingdom, Asia and Middle East, was overwhelming. Even our partners in the business sector, professional organizations, academic circle, and student associations each contributed something that carried on our relief operations for weeks. We received help from SUACONA (headed by Dr. Gideon Alegado and Ms. Dely Po-Go), Silliman University Alumni Association-United Kingdom Chapter, Silliman University Alumni Association (Alberta, Canada), Silliman University Alumni Association of Northern California, Silliman University Engineers – United Arab Emirates Chapter, SUHS of 1973 Faith Fund, Central Philippines University, Francis Parker School (San Diego California), Kolding International Congregation (Denmark), RockEd Philippines, United Laboratories, Inc. and many others (see list of donors on our website). The Silliman University Church coordinated our local relief efforts. It worked in partnership with the greater Silliman community and the local Social Welfare and Development office in giving out food items, clothing, toiletries and others that were collected from the Silliman community and walk-ins. Its observation of the need for mosquito nets, kaldero (cookware), pales and dippers generated funds for the same and became an answered prayer mostly of mothers in the evacuation sites. Equipped with a water treatment technology operated on a grant from the Advent Presbyterian Church USA, the Silliman Water project provided potable water to barangays where supply was either cut off or sedimented. Deliveries knew no time and day — morning or evening, weekday or weekend, Silliman volunteers ensured water supply especially for those affected. And as supply vehicles came to affected barangays, people lined up with their own containers, others reaching out for distilled water from donations of friends! Silliman's fire truck also provided relief to many homes with floors thickly layered by mud. Our volunteers made clean-up much easier and brought families back to their homes sooner before the Christmas and New Year celebrations. The fire trucks doubled as rescue vehicles, retrieving people who because of the rising water levels on the ground had to be relocated to the rooftops of their houses. They also reinforced other vehicles of the University in bringing victims to the hospital for proper medical care. Media outfit ABS-CBN partnered with Silliman University. Tons of relief goods transported by trucks and boats found a place in Silliman Hall and the Gymnasium. Volunteer groups came in shifts to help repack, transport and distribute the goods to the different affected barangays in Dumaguete and Negros Oriental. Even a couple who had lost millions worth of property in Valencia and some others who were themselves affected showed contagious resilience by religiously being at the relief operations station to see what more they can give of their time. Later on January 7, a medical mission was conducted by ABS-CBN, the Negros Oriental Medical Society and Silliman University. What was targeted at 2,000 participants ballooned to over 4,000. Senior citizens, mothers with their children, fathers, teenagers… people of different ages came in droves to seek free medical consultation and be given free medicines, vitamins and food items. Recently, a donation of medicines and food packs amounting to over two million dollars has arranged to be sent to Silliman by the Catholic Medical Missions Board in the US. (More information on this donation will be released after the shipment arrives in the campus). This donation was solicited by the Filipino Children’s Fund, Inc. in New York, headed by Dr. Evangeline Manjares (OSA 2011). Some amounts received from our alumni and friends have been sent to Northern Mindanao to help the Sendong victims there. Indeed, we witnessed a multi-sectoral approach to addressing a calamity before us. Old and young, rich and poor, women and men, individuals and in groups, everybody worked hand in hand. The passion to uplift the condition of those affected by Typhoon Sendong made senses callous to the more often unpleasant conditions that beset the volunteers. This is genuine service. Many have contributed in great ways to Silliman for its relief operations. In recognition of our accountability to them, we maintain a running account of all donations, on the University website, www.su.edu.ph. A lot can still be done. And we thank you for with you, we know we can only accomplish more and give meaning to more lives made difficult by Typhoon Sendong.